A while back I did an explanation on wheelchair icons, and some information on a new icon that was starting to appear across the US. (Check it out below the comic here.) TLDR: The old icon implies a level of inactivity in the handicapped that isn’t that great, a new icon that is more “active” is a much better idea. 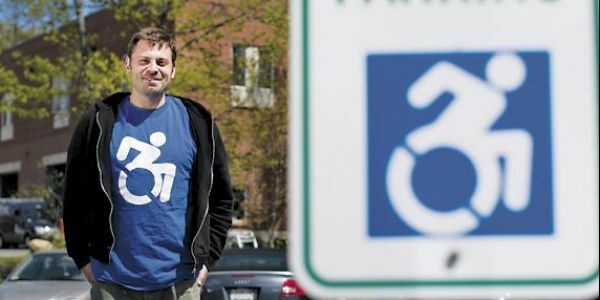 A group of academics are looking to change the handicapped icon on a grander scale, working to get New York City to adopt the new symbol you see above. The story starts as a guerilla marketing campaign and grows into a full-blown movement. An interesting read. Or if there aren’t any designated locations, anything secure will do. Anyone catch the callback to “Wobbly”?